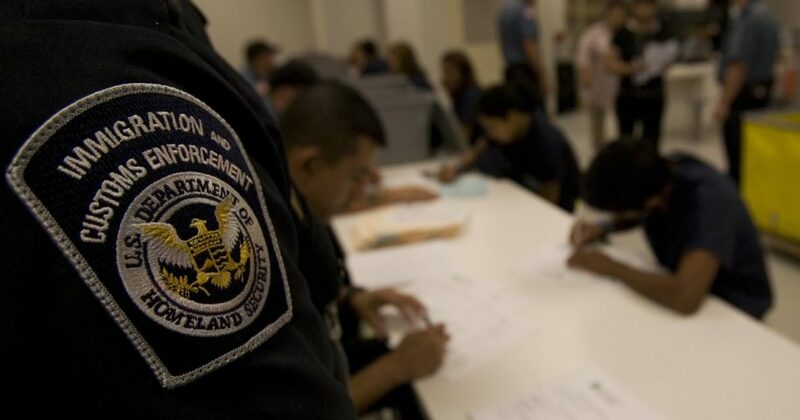 Nearly a dozen illegal immigrants at an Immigration and Customs Enforcement facility in Texas are refusing to eat as part of a hunger strike against alleged verbal abuse by guards, The Associated Press reported. ICE officials confirmed to the AP that 11 detainees at the El Paso Processing Center have refused to eat at least nine consecutive meals. Detainees and others connected with those inside the facility say roughly 30 men are actively participating in the hunger strike. Officials at the El Paso facility have inserted nasal tubes into six detainees to force feed them and keep them alive. Hunger strikes at ICE facilities are scarce and situations where a court order is obtained to force feed a detainee is almost unheard of, an ICE official told the AP. Do you think the border wall should be built to prevent things like this? “Nine of the 11 detainees missed their ninth consecutive meal, triggering hunger strike protocols, in late December and early January,” ICE spokeswoman Dani Bennett said in a statement, according to CNN. ICE did not comment on the motivation for the hunger strike, the El Paso Times reported. “It’s just the discrimination. They observe it, they see it. That’s what sparked that,” Michigan-based lawyer Ruby Kaur, who represents two of the detainees participating in the hunger strike, told CNN. Most of those involved in the hunger strike are illegal immigrants from India and Cuba, detainees and others told the AP. Four other detainees — one each in facilities in Miami, Phoenix, San Diego and San Francisco — are also on a hunger strike, ICE told CNN.